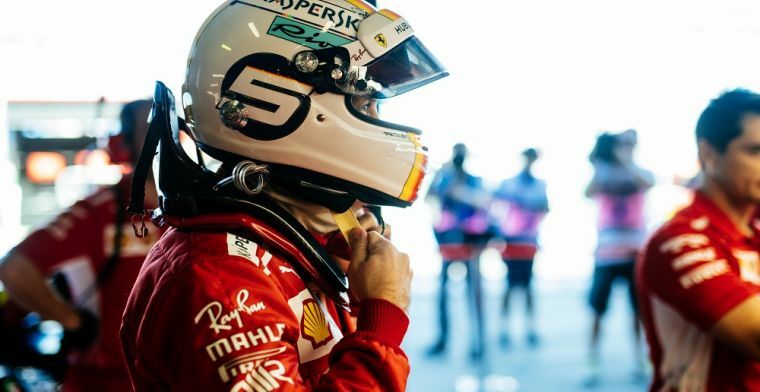 Ferrari driver Sebastian Vettel has not ruled eventually participating in the 24 Hours of Le Mans after his F1 career is over, as the German admitted that his racing career would be far from over after he eventually retires from Formula 1. At 31 years of age, Vettel certainly is no spring chicken anymore in F1, but he's far from done in the sport either. In a long interview with Motorsport-Total, the four-time champion talked about his plans for after he hangs up his gloves. "There are a lot of things I still want to do," he revealed. "The ideas are there, some of which have nothing to do with Formula 1, but I'd like to keep those to myself." When asked if the 24 Hours of Le Mans was among those ideas, Vettel said that it could be possible. "There, you don't just race older drivers that are 40 years and over, but also against young guys." His teammate, Kimi Raikkonen, will be older than 40 come next year, and the Finn will stay at least two more years in F1 as his contract at Sauber runs until 2020. For Vettel, being 40 is still nine years away though. "That's 10 years away, almost as long as my career in the F1. "If I calculate this quickly, I should be on 400 Grands Prix then. "Never say never, but I'd rather not," the German concluded.